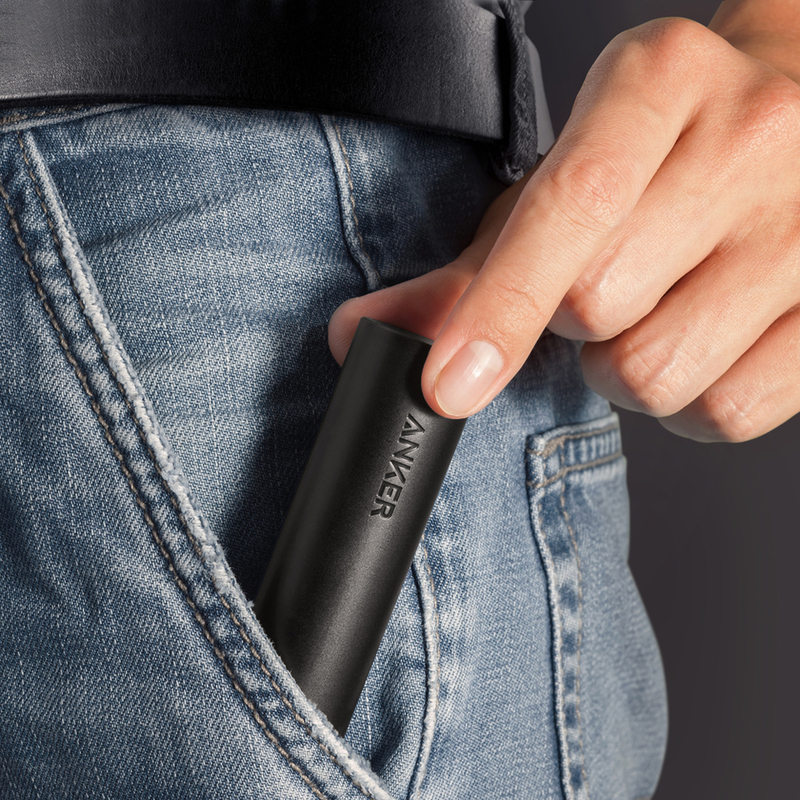 Let's get back on track here, we need a way to keep our devices powered and Anker has the answer. I first discovered Anker on Amazon about four years ago and have been loyal ever since. Their products are of extremely high quality, never broke a single one and my entire family is now equipped with at least one of their chargers. Why do we need a portable charger? First off, many people now use their cell phone as a camera and a map. Don't want to miss out on a picture, and you especially don't want to get lost unless that's your intention. For security measures, I feel much more comfortable when I have at least 50% battery in case I have an emergency. People also utilize social media more than ever, so carrying the charger will ensure all your friends remain jealous while you travel. The first portable charger I purchased and still carry with me is the PowerCore Mini (pictured above). You can charge the Mini with a micro USB cable, which is convenient because it's the same charger I use for my Android. The portable charger then has a USB cable to charge the device of your choosing. It does have a 3200mAh capacity which will fully charge my Galaxy S7. The purpose of this charger is not to get a full charge, it's just to boost me up when I'm low. This charger always resides in my day back while I travel, and when I'm home it's moved over to my laptop bag. Truly a fantastic tool to have available, and I never leave home without it. Second charger I carry with me is the PowerCore 10000 with Quick Charge 3.0. This is a bit larger than a deck of cards and is very sturdy. The charger also comes with a carrying case that prevents it from scratching while in transit. The charger ironically has a 10,000mAh capacity which is good for at least 3 full phone chargers and only costs $35.99. This charger usually stays in my main bag and is used on longer trips. Let's say I'm on a 14 hour flight or train ride that doesn't have an outlet, it'll ensure my phone and kindle are powered for the duration of the flight. And yes, in 2017 I still encounter transportation that doesn't have outlets available. On longer trips where I need to check luggage, I move this charger to my day-pack. It's so small you won't notice the weight difference and it really does make your life more enjoyable. Anker does offer other chargers, though these are the two that I felt best fit my needs. Some people may want to go the route of having the extra battery in your phone case, which is perfectly fine except they didn't offer one for my phone. My recommendation is to figure out your phones battery capacity and determine how many chargers you need. Multiply your phone capacity by that number and you'll know the charger size you need to purchase. As always, let me know if you need a hand choosing your charger!